It’s said that hair loss effects 80% of men and up to 50% of women. Get help here. For many years researchers have known that specific cellular protocols combined with micro-needling stimulation and medications like Minoxidil improve male and female pattern hair loss. Our procedures can also improve overall follicle health, the thickness and richness of the epidermis, slow or stop hair loss, and stimulate new hair growth. Note: Once follicles are completely destroyed, hair growth cannot occur. However, when you are in the transition stages of male or female pattern hair loss (baldness), there is a very good chance that this protocol can slow significantly your hair-loss, or stop it completely, and encourage fuller hair growth for 12-24 months beyond treatment. Continuous “at home” maintenance can continue the process much longer. Louisville Hair Regrowth: Why & How does it Work? Our protocol was developed following three key research studies which observed efficacy is stimulating hair rejuvenation. In addition, our protocol follows knowledge gained from years of human and animal studies using cellular therapies like Platelet-rich Plasma (PRP) and Stem Cells. Stimulation and mobilization of stem cells was observed in a 2013 research study with micro-needling. It works based on the principle of wound healing. Micro-injury induced from micro-needling creates a cascade of events which mimic natural cell regeneration. This happens in stages. First is a homeostasis process (reaction), then comes an inflammatory response (inflammation), followed by cell proliferation (stimulation), and finished with remolding (formation). In essence, the regenerative effect from micro-needling is widely known among research experts in cellular therapy based on these stages of natural healing. It stimulates your own stem cells in a regenerative process. This whole process is known as Homeostasis, Inflammation, Proliferation (of cells), and Remodeling (HIPR). The remodeling stage is known to last for 1 year or longer. 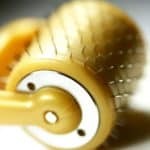 Micro-needling promotes rejuvenation to skin and hair follicles without scarring or permanent damage. The micro-injury from micro-needling isn’t deep enough to do any long term damage, it’s just deep enough to wake up the cells in that area so they can activate regenerative resources. This is a great way to keep the cells surrounding your skin and hair follicles stimulated and fresh. 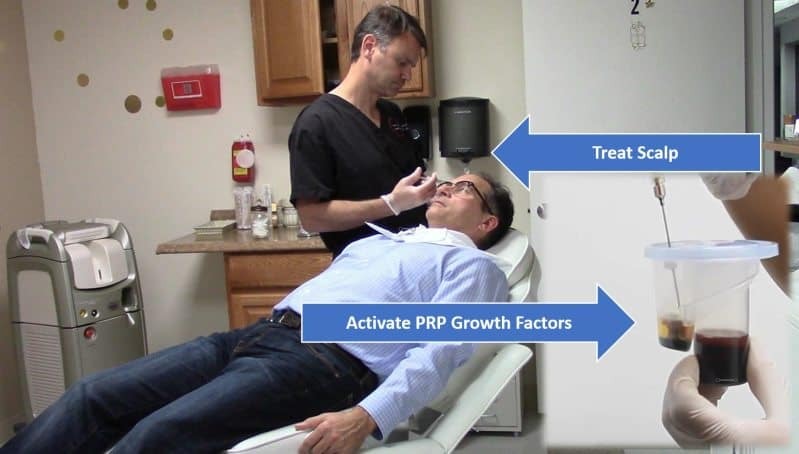 The results of a randomized trial on the effects of PRP in hair regrowth was published in September 2015. The study looked at the safety and efficacy of using autologous (self-derived) platelet-rich plasma for the stimulation of hair regrowth. The PRP treatment was administered at 30-day intervals. 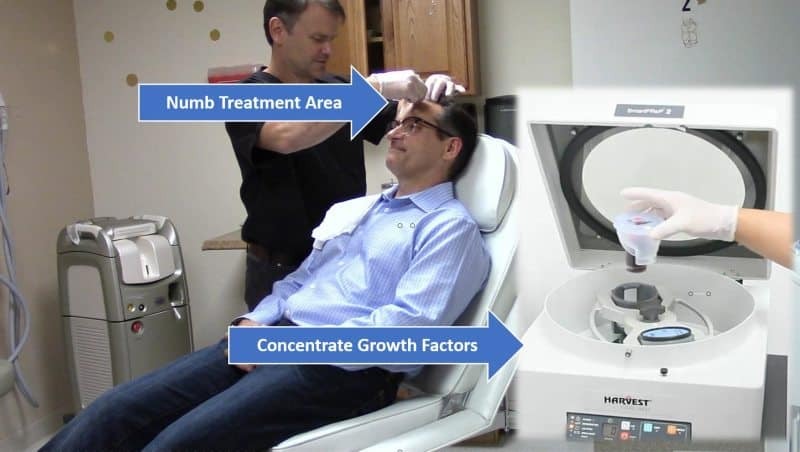 Following three (3) treatments, patients noticed a measurable improvement of hair regrowth. Hair density increased by 45.9 hairs per cm² compared to baseline values. No negative side-effects were reported or observed. 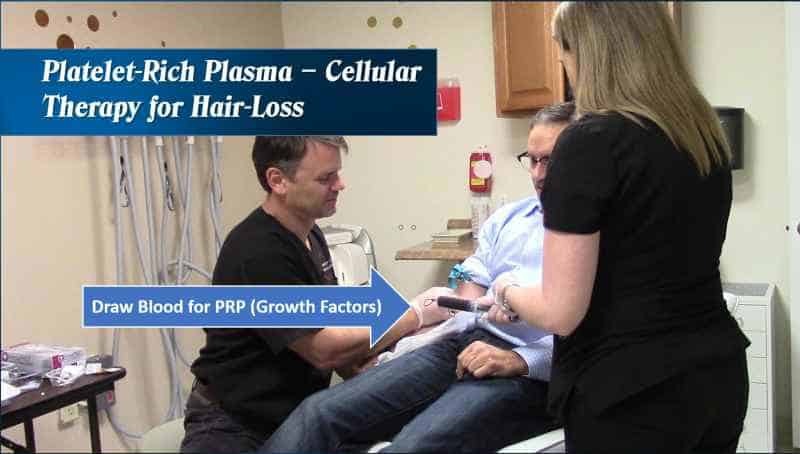 Microscopic analysis showed the increase in epidermis thickness and of the number of hair follicles 2-weeks following the last Platelet-rich Plasma PRP treatment. Relapse of adrogenic alopecia did occur in 4 out of the 23 patients in the study after 12 months. Note: Relapse is best avoided with proper nutrition, nutrient supplementation and at home weekly maintenance-micro-needling based on the HIPR Protocol discussed above. The HIPR Protocol is the micro-needling of the area approximately once per week following initial PRP therapy. 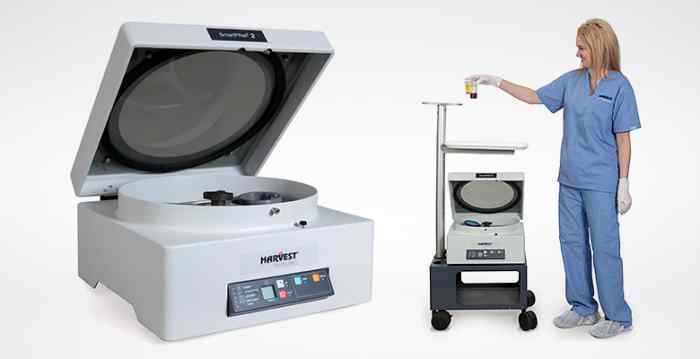 All processing of platelet-rich plasma done at our treatment centers is achieved with the Harvest SmartPrep Technology. This technology has demonstrated superiority and consistency over other leading models. This Multicellular Processing System delivers the highest concentration and yield of platelets when compared to 12 other systems, as shown by the data here. 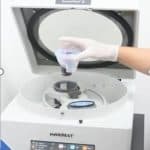 In addition, we also prescribe specific compounded topical blends consisting of Minoxidil, Finasteride, Latanoprost, Ketoconazole among others. Below is a list and description of old and new prescription based compounded pharmacy therapies for hair loss. Minoxidil has been sold over the counter to treat hair loss for men and women since the 1990s. It’s believed to create new hair growth by increasing cutaneous blood flow to shrinking hair follicles. Sometimes this causes short term shedding, with new and thicker hairs being replaced in the anagen phase of hair growth. It is best used during the early phase of alopecia. Finasteride acts by reducing DHT levels which inhibits miniaturization of hair follicles. Oral Finasteride can have side-effects like decreased libido. We generally avoid oral Finasteride. However, scalp-applied (topical) Finasteride can be considered to help improve hair density without sexual side-effects. 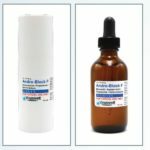 Combined with Minoxidil, the two make a solid one-two punch at stalling hair loss and fostering new hair regrowth. In the May 2012 issue of the American Academy of Dermatology, it was reported that Latanoprost mimics naturally-derived molecules known as prostaglandins. This was shown to significantly increase hair density on the scalp after 24 weeks of treatment. Ketoconazole is an anti-fungal medication. It is also believed to be effective at stimulating new hair growth. It is helpful at countering the effects of DHT, which causes hair follicles to shrink. Besides these treatments, there are other options the physician may try for time-to-time based on the specific issues surrounding the patient’s hair loss. That said, these are known to be the most commonly used and effective treatment for male and female pattern hair loss. Combined with micro-needling for stem cell proliferation, and Platelet-rich Plasma, for direct concentrated growth factors, our protocol is the best we know of for practical evidence-based therapy for hair regrowth. Treatment at our Louisville Downtown Hair Loss Regrowth Facility usually takes 4 clinical visits over a 3-6 month period. One three of those visits PRP will be applied to the scalp area where hair-loss exists. Follow up PRP is generally done 21-30 days following the last treatment. More than 95% of hair loss in men is associated with Adrogenic Alopecia (AGA). Women can also be effected to AGA hair loss as well, but generally to a lessor degree. Consuming a diet too high in animal fat (saturated fats) such as fast food, dairy, etc., can negatively effect hair growth. Stress – Stress has been shown to restrict blood flow to small capillaries which prevents oxygen and nutrients from reaching the hair follicle. What you can do next for your hair-loss in Louisville? On the Fence? – If you are still not convinced this is the best natural hair regrowth therapy, but still want to remain informed, please fill in the contact form below. We will keep you updated on our services so when the time is right, you can take action. Anti-Aging and Wellness is your trusted source for medical tourism. We concentrate in medically supervised wellness. Our focus is on optimizing cellular metabolism. DISCLAIMER: This website is an educational service that provides general health and wellness information only. It is not intended to diagnose, treat or cure any health related condition. Please always consult a physician regarding your health before starting any health or diet program. No medical treatment can guarantee results. Results vary from patient to patient. We encourage you to do your own research, ask questions, and review board certifications and testimonials on any similar websites describing similar therapies.